In northern latitudes, the fall season vibrates with an urgency to get things done. 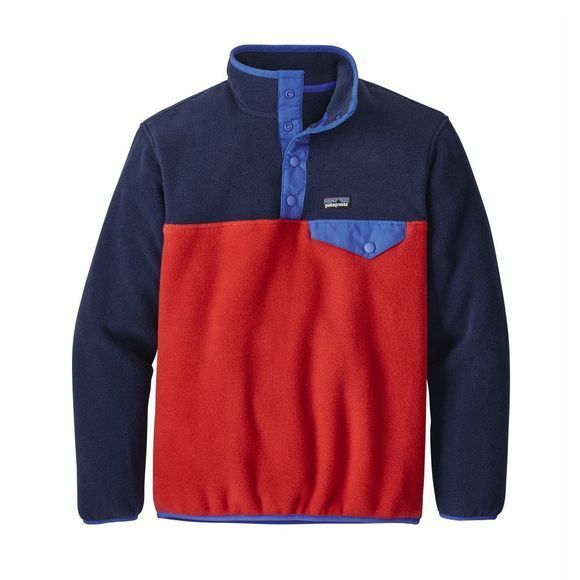 For stockpiling firewood, changing out snow tires and shutting down an irrigation system, this fleece pullover provides essential warmth in a decadently soft fabric. Made of warm, durable, midweight polyester fleece (80–85% recycled), it features a stand-up collar, a chest pocket with a nylon flap, a 4-snap nylon placket and Y-Joint sleeves for better mobility. It's the perfect companion as you ready your world for winter.